Check our blog for many more answers to common questions. A tort is a civil wrong that results in damages or injuries. Usually, when suing a governmental entity like the city or state, you must file a tort claim within 180 days of the accident/injury. Call our law office for details, 208.495.0810 (or 800.944.1210). Now that I have been hurt on the job, what payments can I expect? Medical Treatment – “To cure and relieve” the effects of your injury. Temporary Disability checks – If the doctor takes you off work or puts you on light duty and you cannot work, a check for 2/3 of your gross wages should be paid to you every two weeks. If you are a high wage earner, the checks may be less than 2/3 due to a legal limit. Permanent Impairment Checks – Monthly checks when you return to work if you have a permanent injury. 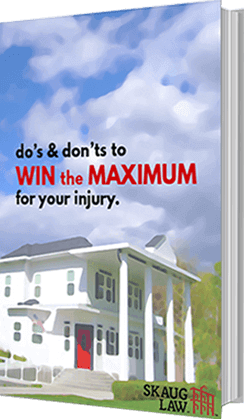 The number of months you receive checks depends on the severity of your injury. Vocational Rehabilitation/Disability – If you can’t return to your old job or type of work, you are likely eligible to receive disability checks. What if my employer refuses to report that I have been injured or threatens me if I turn in the claim? Contact an experienced attorney immediately to be advised of your rights. There may be time deadlines you are required to meet. The insurance company wants to tape-record a statement from me and they want me to sign papers. Should I cooperate? 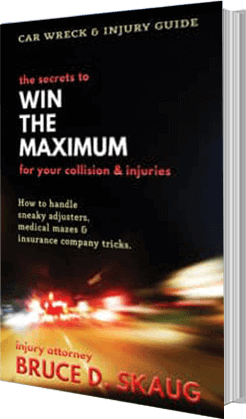 Remember, the insurance company’s primary goal is to not pay out money or to pay as little as possible. If you have been seriously injured, contact an attorney call 208.495.0810, (or 800.944.1210) for free advice about signing papers and whether to give a tape-recorded statement. A statute of limitation is a rule establishing a time period within which a lawsuit must be brought. If a lawsuit is not brought within that time period, the right to sue is lost forever. The statute of limitations for a personal injury lawsuit is usually two years. What is the Idaho Industrial Commission? Think of the Idaho Industrial Commission as the courthouse for injured workers. All work injuries must be reported by employers to the Industrial Commission. For more information about the Industrial Commission, you may view their website or contact them at (208) 334-6000 or (800) 950-2110. 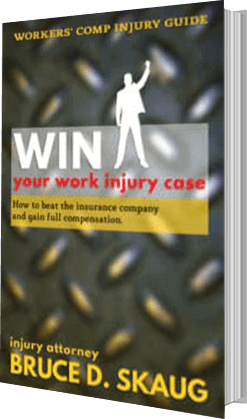 What is a workers’ compensation case? Any time an employee is injured while working for the employer, that employee is entitled to benefits (rights) under the workers’ compensation laws, including, but not limited to payment of all medical bills, wage loss, transportation to medical care, retraining, impairment benefits and disability benefits. Employers are required, by law, to carry workers’ compensation insurance to pay for these benefits should one of their workers get injured on the job. What will it cost to hire an attorney to help me in an injury case? A National Insurance Council study found injury victims with lawyers received on average 2.5 times more money in their pocket, after attorney fees, than people who did not hire a lawyer. Attorney fees are usually 33% of the funds recovered for the client in personal injury cases and usually 25% in workers’ compensation cases. How do I choose the best lawyer for my situation? Experience, results, reputation, resources and commitment. Our Nampa office has been serving the legal needs of injured persons for 23 years. Our practice emphasizes personal injury, workers’ compensation and wrongful death. We have recovered millions of dollars for our clients in settlements and verdicts. Our attorneys are licensed in Idaho, Oregon, Montana, and Arizona. We are members of the Idaho Trial Lawyers Association and The American Association for Justice. We have an A+ rating from the Better Business Bureau and are highly rated in online reviews. You should talk with an attorney whenever you have suffered a physical injury caused by another person OR you have suffered an injury at work. It costs nothing to consult one of our attorneys. Failing to consult with an attorney in an injury case could cost you a loss of money and loss of your rights as an injured person or worker. There is no charge to speak to an attorney at Skaug Law to discuss your case.